T680 for Dedicated Transportation. I'm not sure where they are based. Volvo for Grandview Enterprises from Vancouver WA. Looks like a new trailer livery. Interesting catches as usual; the JAG and LGA T680's are my favorites. A lot to like here. The rest area shots are really cool.........you caught a lot of interesting trucks. Really cool pictures! The Bridgestone/Dayton Pete is sharp, and interesting to see it has lift axles on both tractor and trailer. The Carey Leasing is sharp as well! Thanks Yall. Carey had been near the top of my wishlist for a while but I caught 4 of them in the same month in the town I live in. I started to lose my lighting at the rest area so I rolled on down the Oak Grove truck stops. Sorry if some are grainy in this batch. I'm enjoying being along for the ride during your travels. I haven't shot a Carey truck in about 12-13 years........love the looks of the one you caught. Tried a new spot. What do yall think? 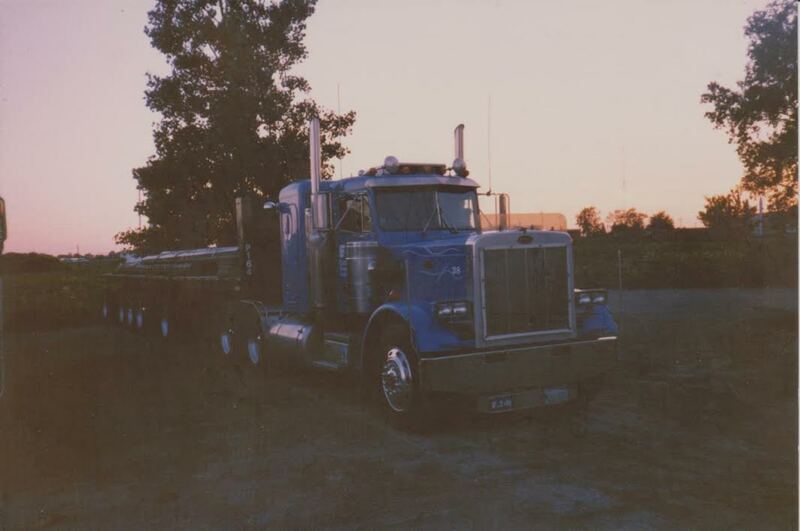 Volvo for Misl Transport from Elburn IL with a Pals Farm & Trucking trailer. First time I've been able to catch either of these. 579 for Riverside Transport Inc from Kansas City. BFL was a fleet from Owensboro KY that they acquired some years back.